As he bids to become the first driver to achieve back-to-back IRC (Intercontinental Rally Challenge) driver titles, the Fabia S2000 of Skoda UK Motorsport’s Andreas Mikkelsen will be wearing a new colour scheme for the 2012 season. 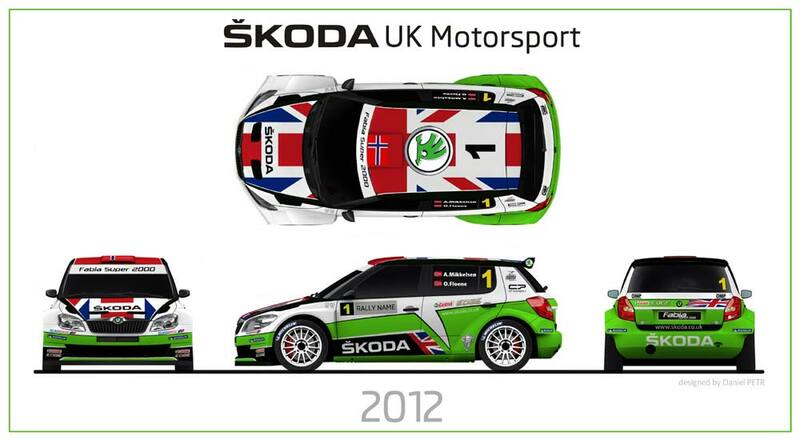 Mikkelsen’s Fabia will maintain its association with Skoda UK Motorsport with the familiar Union Flag covering its roof and bonnet, while new side sections also feature elements of the flag. At the rear, the tailgate receives a matte black stripe along with a small Union flag. Helping Skoda to pursue a third consecutive IRC Manufacturers’ title, Mikkelsen and co-driver Ola Fløene will be joined by factory team drivers Jan Kopecký and Juho Hänninen who, impressively, secured the first three places in the Drivers’ category of the IRC (Mikkelsen 1st, Kopecký 2nd, Hänninen 3rd), last year.